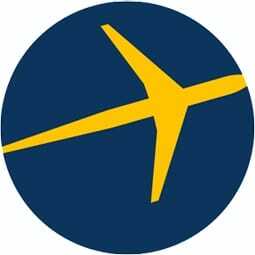 The following is a post from Rick DeJarnette, a senior strategy analyst with Expedia’s Local Expert team. We’re delighted to let Rick share news about our newest program himself. How do you plan for your vacations? Do you do it the old fashioned way by first selecting a place to go, which limits the fun things to do on your vacation by what is available there? That idea may work for some, but more and more travelers are wanting rich and experiential vacations filled with activities that will thrill, stimulate, invigorate, and satisfy their personal needs and wants. Some travelers want to experience activities involving wild adrenaline rushes; other types want genuine intellectual and/or emotional stimulation. Still others desire world-class pampering and relaxation, while some want to enjoy world-class entertainment. Finally, some travelers just want to indulge by deeply exploring all aspects of one particular destination. One person’s swimming with great white sharks adventure is another’s scholar-led museum/historic sites tours. The varieties are as endless as the numbers of traveler types out there, as the itineraries for travelers’ dream vacations. Imagine what it would be like if you instead first chose the things you really wanted to do and then decided where to go based on those? Wouldn’t that be a dream vacation? Expedia thinks so, and we want to help you experience your dream vacation, no matter what type of traveler you are. To help you experience the vacation of your dreams, Expedia is proud to announce our new Traveler Identity Processor, a.k.a., TRIP. It’s a slightly-less-than-scientific-but-significantly-more-than-arbitrary online activity in which you pack a virtual suitcase for that dream vacation, and based on which items you pack, it determines which Traveler Identity type you are. With a little bit of snarky attitude thrown in for fun, TRIP then helps guide you to the perfect activities and destinations that will be most fulfilling for you on your dream vacation. What type of traveler type are you? Are you a Thrill Seeker, a History Buff, a Music Maven, or perhaps a Culinary Vacationer? (None of the above? No worries. We’ve identified dozens of traveler types for TRIP). Once TRIP determines what kind of traveler you are (again, based on what you’ve packed in the virtual suitcase), TRIP presents a fun video introducing your Traveler Identity type category, and provides you with the most relevant Traveler Identity match (along with others that are closely related). Each Traveler Identity offers you a list of fascinating activities to do; several short, real-life dream vacation stories from fellow travelers; as well as a list of relevant vacation destinations that offer plenty of activities folks like you dream of doing. You can even use Facebook and Twitter to tell your friends about which Traveler Identity you are and what you’ll be doing on your upcoming dream vacation. There is no better way to plan your ultimate vacation than by taking a TRIP! Who knew there were so many fun things to do that are perfect for you? Best of all, to help you make your ultimate vacation dreams come true, for the rest of 2015, we’re sponsoring the TRIP Dream Vacation Sweepstakes, where we will give away *big* Expedia+ points every month for the rest of 2015. Not just one, but two lucky winners each month will each receive 38,500 Expedia+ points, which can be redeemed for a +VIP Access hotel coupon worth up to $550 for a stay in your dream vacation destination (you can also redeem the points for regular hotels on Expedia or even charity donations if you wish). There is no purchase necessary to enter the TRIP Dream Vacation Sweepstakes (one entry per person per month, open to U.S. residents 18 years old and older)—just pack your virtual suitcase to play. We’ll be adding more Traveler Identities all year long to keep things interesting and ever-more relevant to you. The Expedia Things-To-Do Local Expert team is also busy adding thousands of new great and exciting vacation activities every month, so there’s always something new to discover and experience. Keep coming back and playing the TRIP game to see what new and exciting vacation activity ideas we have in store for you, and enter every month for another chance to enter to win the monthly TRIP Dream Vacation Sweepstakes. 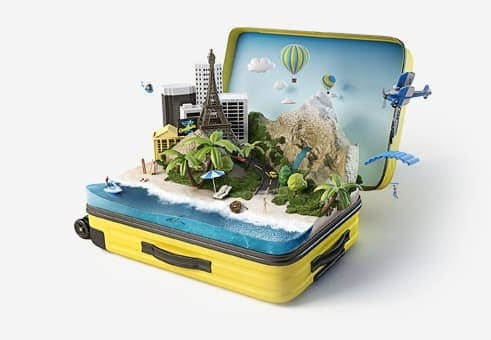 What would you take with you for your dream vacation?